Announcement Welcome to Ball and Chain Jewelry on Etsy! Home of artist drawn wood-grain rings since 2007. 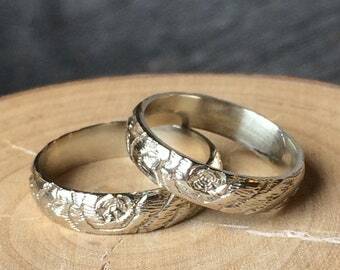 Please note custom size ring orders need 2 to 3 weeks to make. Please inquire. 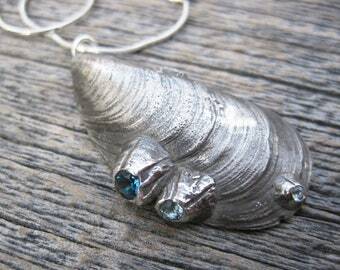 Welcome to Ball and Chain Jewelry on Etsy! Thank you for safe delivery of sweet piece! In my store, take a peek! New lander varisite - my favorite color! My favorite piece of furniture- my jewelers bench, where most of the work is done. I like to think of it as my cockpit. Another studio view, I love my attic studio & thanks to my (amazing) husband for getting this space finished off. A drawer of master molds. Most of my work is done in wax. Seashells display set up at a show table. Say that five times fast. I come from a background in fine art, with an MFA in sculpture, and having exhibited oil paintings in a few galleries across the country. Working a daytime job in the NYC fashion district doing surface design after graduating I'm lucky to have stayed. Though I love the city for all it's daily inspirations, the more rural New Hampshire, my childhood home continues to have a strong place in my heart. 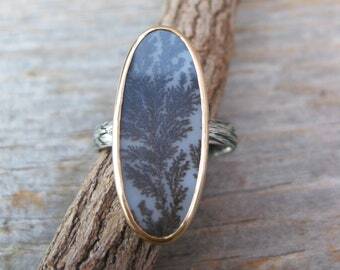 I think you will see all of this reflected in my jewelry collections here, combining my varied interests. 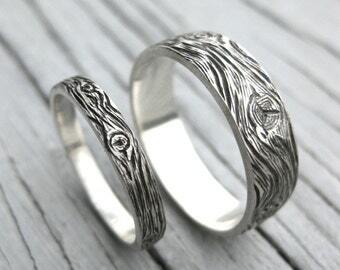 The signature Woodgrain and Plaid wedding band sets are a collaboration with my husband, painter and printmaker John Jacobsmeyer. Working in the same studio space together, we were often looking over each others work. John was engraving the images for his book, "More Than Human" while I was beginning to carve rings in wax. 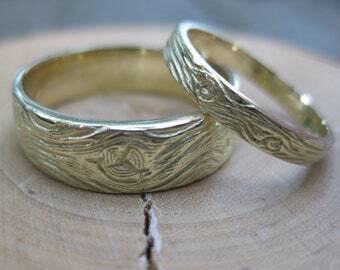 My eye for pattern and his engraving skills and inventive mark making marry together in these rings. 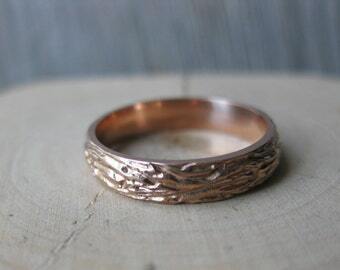 As husband and wife we love especially that other couples enjoy these as their commitment rings and future heirlooms. 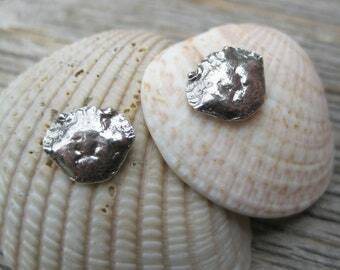 Seaside Fossils are to me a collection of talismans connecting nostalgia for summer and my curiosity and wonder at the beauty of the natural world. Growing up in New England I spent summers visiting the seashore in Maine exploring the tide pools tucked in the basalt outcroppings. Even now I am an avid beach comber and love to collect tiny treasures as I explore beaches and lakes collecting souvenirs. My favorite finds are cast and reworked into jewelry with an emphasis on capturing the detail inherent in the natural forms and textures. Pawing through my mother's jewelry box at a young age, I always paused at the charm bracelet. One item that told so many stories of collected travels and interests. The original conversation starter. 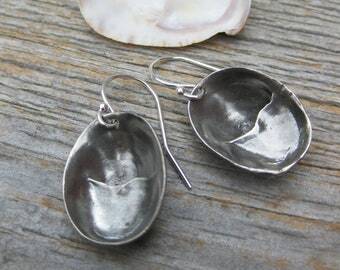 My silver silhouette collection is a fun quirky group of hand sawed charms based on that idea. 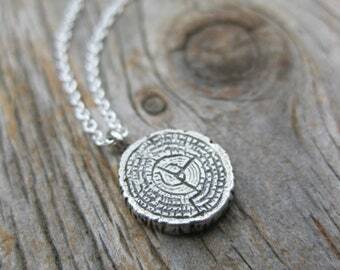 What if a charm was a mundane object? A milk jug? Yes. From there I developed jokey icons and craft making tools of the trade as alternatives to the usual charm imagery. Planning for my wedding back in 2006, I wanted something custom and unique for both myself & my bridesmaids. Exploring the nearby NYC fashion district for jewelry supplies, I was quickly immersed in making custom jewelry for myself and friends. I started selling here on Etsy in 2007 and have been loving this wonderful community ever since. Our in home supplier of daily cute. A small casting facility with a focus on quality and creative jewelry casting. Certified green 100% recycled metal casting studio in the diamond district. Expert in flush set and pave stone setting. Family run, mold making and certified green 100% recycled metal casting studio in the diamond district. Please explore the categories- each represents a different sensibility. 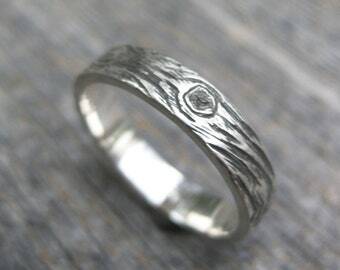 Hand engraved woodgrain & plaid wedding bands, faceted stones, fleamarket finds, or even just chain, I love to experiment. Check out my kitchy shapes section for unique funny handmade charms. Most of my items are made in editions, but some items here will be one of a kind. Some by the nature of the materials being unique, some by my nature of always wanting to try something new! I am always experimenting with new designs, so keep coming back. See something in my sold items? Contact me, maybe there are more. All personalized jewelry, sale items and all Gold jewelry are non returnable. Otherwise I am open to reasonable requests for refund or exchange of unworn jewelry within 1 week of your receipt of item/s. I want you to be happy too. 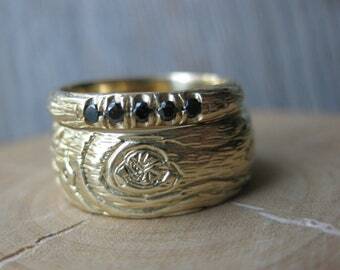 *Please note, if you are ordering a ring, please know your exact size as best as possible. 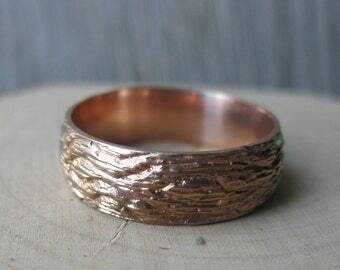 Many of my designs cannot be re-sized once they are in metal due to the all over pattern. I recommend going to a local jeweler to get sized in person with a similar width ring before ordering. If you need a different size, I will have to do an exchange. Sterling Rings: If I have to do more than one size exchange, I will charge a 30$ restock fee for each additional exchange. Gold Rings are not returnable. For any size exchange I will have to charge from $100 - $300 restock fee, depending on the width ring being exchanged. USPS Domestic delivery confirmation will track delivery to your address, so I will not be held responsible for loss of package due to insecure conditions at the address you supply. All returns are shipped at the expense of the buyer, with delivery confirmation, so we both have proof of delivery. If you need to cancel an order, email immediately as I sometimes pack and ship same day. I reserve the right to refuse sales if needed. Please make sure you put any special requests we have discussed in the "notes to seller" section when you check out so I have the needed information right on my receipt. All items are packed in a small vinyl zip pouch or a vellum paper bag inside a brown craft paper covered cardboard jewelry box inside a bubble padded mailer. I include the etsy receipt, so please let me know if you are shipping a gift & don't want it in the package. I can include a special message instead, again, let me know in "notes to seller" section when you check out. I am in the city near a post office every weekday & love to ship quickly. If you have any special needs, like correcting a shipping address, not including receipt- please contact me within same day of your order for best results. All made to order items will take a minimum of 2-3 weeks from date of payment to complete before shipping as below. Within 3 days of your order, your items will be shipped USPS first class with delivery confirmation. I will supply tracking number upon buyer's inquiry. Within 3 days of your order, your items will be shipped USPS priority, tracking included with 3 days estimated shipping time. Within 3 days of your order, your item will be shipped USPS priority express, tracking included with 1-2 days estimated shipping time based on your address. *Please convo me before you check out to ensure a faster processing time for express shipping. I ship USPS international first class for smaller orders, which unfortunately does not have delivery confirmation. I cannot control how long it will take to get through customs or if the item gets lost. I am not responsible for lost or stolen packages. As of 2013 selected international orders will ship registered mail to insure a tracking # is given. This will show up as a $15 shipping cost. International buyers are responsible for all extra fees, taxes, tarriffs, duties, brokerage charges or other any charges put in place by your country. Please make sure you understand your country's laws before purchasing. The buyer assumes all responsibility for these customs fees. Please check your country's regulations before checking out. Also please do not ask me to mark the customs form as a gift. Marking it as a gift is mail fraud. If you ask this of me your order will be canceled and your money refunded. Any other shipping requirements must be negotiated after the inquiry of the buyer, ie express shipping, international shipping due to extra costs & payment. If you need shipping upgrades- get in touch quickly, PLEASE CONVO ME to make sure I get your request & can have time to comply before your item is shipped. Customized orders: Please convo me to discuss. 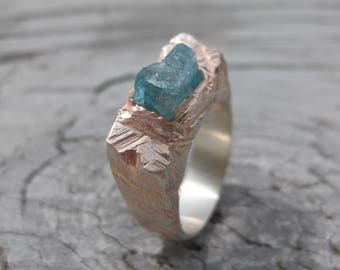 I cannot use your jewelry or metal to make a new piece. I cannot use your personal gemstones. I will gladly put an item on reserve, but please check out within 1 week, or I may have to re-list the item in my store. Consignment & Wholesale: I am open to reasonable inquiries.